Roughly every twenty nine and a half days, a full moon occurs when sunlight fully illuminates Earth facing side of the Moon. Phases of the Moon are a matter of perspective, perceptible refracted light in relation to lunar orbit define phases of the Moon. 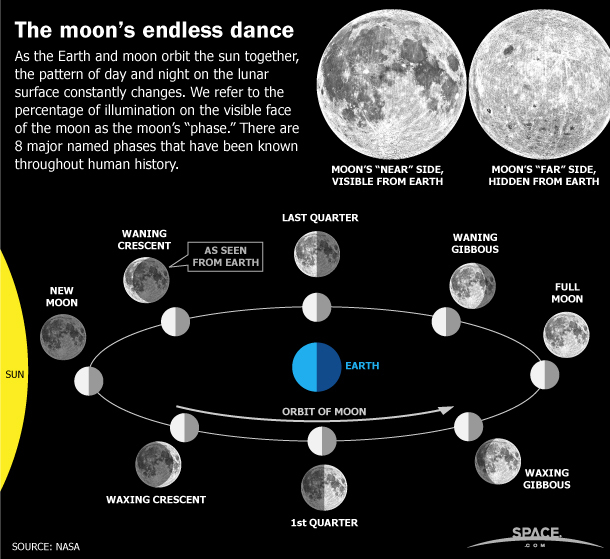 We see a full moon when it orbits on the exact opposite side of Earth from the Sun. Depending on where you live the first full northern hemisphere spring, southern hemisphere fall moon falls on April 11, 2017. Native American tribes dubbed spring’s first full moon the Pink Moon, named for wild pink ground phlox, the first bloom of spring. Also known as the Flower, Sprouting Grass, Egg and Fish Moon, spring’s first full Pink Moon is believed to have originated on America’s east coast with native Algonquin tribes. If you happen to fall under pink moonlight, ponder long ago and once upon a time. Gaze into the night, embrace prickles of instinctive wisdom with reverence for people who once called spring’s first full moon pink.Next, listen to Nick Drake’s Pink Moon….